Selling for HKD 78 (about 13 Canadian $) for every 1000 miles. I will reduce the price if you need more than 100k miles. 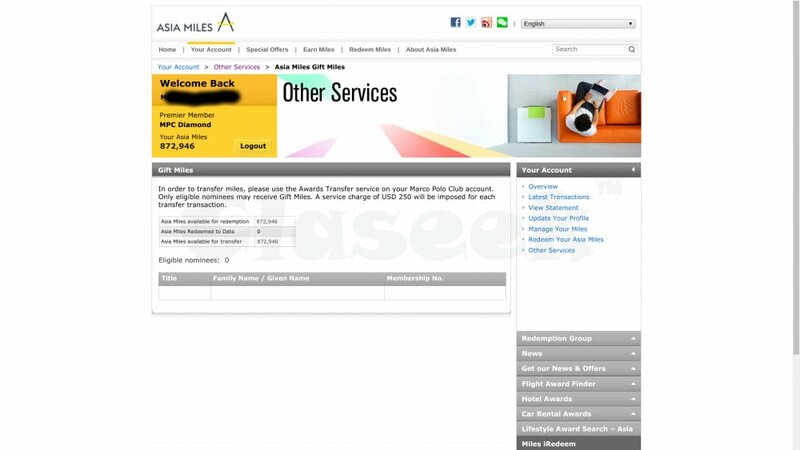 I can either book your tickets on my account or I can transfer the miles to your Asia miles account (if you have one). Pay me after you receive the miles or after you fly. I prefer to sell them all before they expire in a few years. Claseek™ Hong Kong is a FREE online classifieds portal. You can buy, sell, trade, rent, deal, find and advertise almost anything here. We are one of the leading local classifieds for Real Estate, Electronics, Fashion, Vehicles, Services, Travel, Money, Jobs and more. Travel section is dedicated for travel-related ads like Car rental, Hotel, Resort, Local attraction, Tour package, Transportation, etc. Get discounts and promos from travel agents, hotels or individuals.